Like it or not, summer is the season of sweat—which means words like "light" and "breathable" are music to my ears. So when Everlane launched a new T-shirt line conveniently called The Air, you can bet I was intrigued. 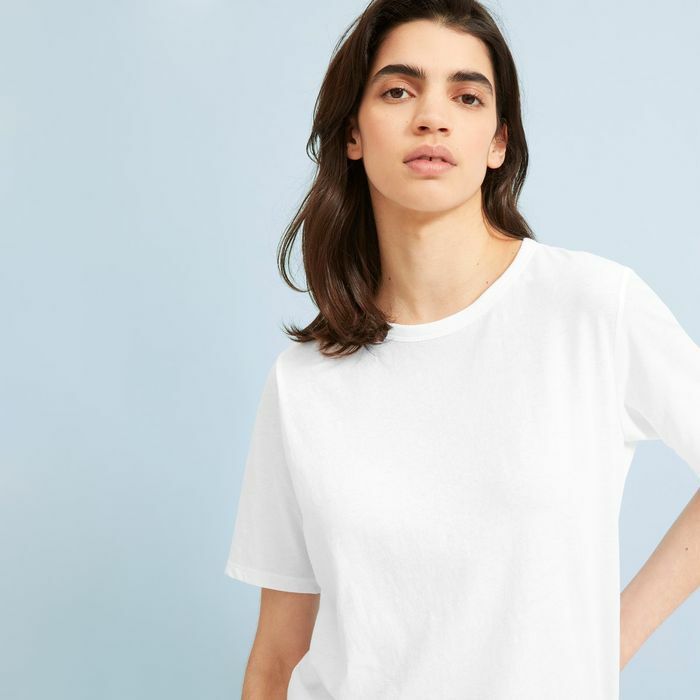 Everlane created four different styles—an oversize crew neck, a dolman tee, a V-neck T-shirt, and a tank top—with "light as air" cotton, and the result is the easiest thing you'll throw on all summer long. The shirts come in a range of classic colors, including white, black, lilac, and gray, which makes them perfect for stockpiling. We'll take one of each, please. Scroll down to shop Everlane's new arrivals.